Each and every one of our spas is sculpted from the very best raw materials on the market today. 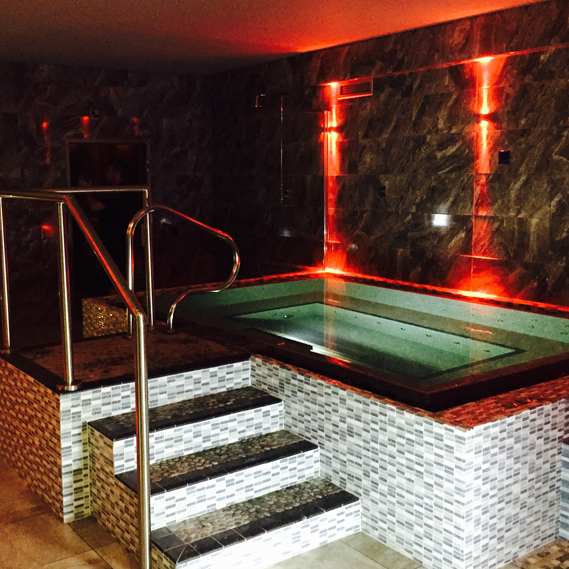 Be it a deck level spa or skimmer spa, relax and unwind whilst being massaged by the jets. Each and every one of our spas is sculpted from the very best raw materials on the market today, with water, chemical and heat resistant fiberglass and gelcoat materials, the finished surface of every Spa is down to individual client preferences, from standard range of mosaic tiles to explosive colours and styles.